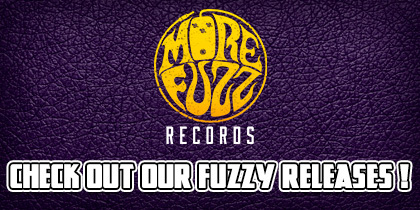 Home Fuzzy Reviews First Listen & Review : Purple Dino – And Now What ?! 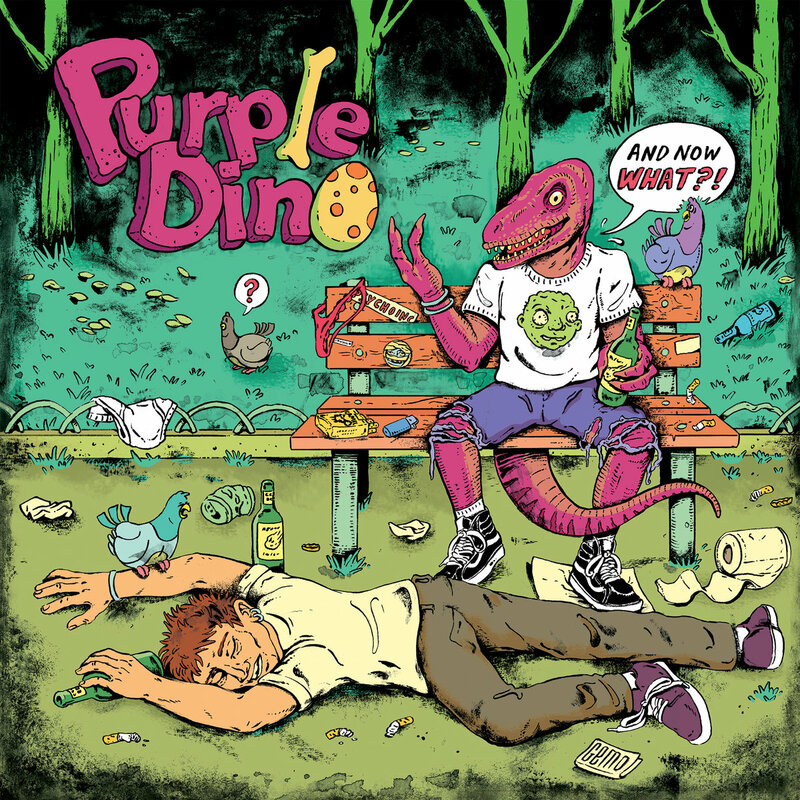 First Listen & Review : Purple Dino – And Now What ?! The Purple Dino is back! He has the Booze, The Groove, The Rock and The Roll! It’s been a long time we haven’t heard of Greece’s Purple Dino. Since 2014 to be exact, with their debut ablum Jurassic Bar. They’re back this winter with a burning Heavy Rock/Stoner Metal album that’ll melt ice faster than a Trump talk on global warming, I can assure you ! Purple Dino 2nd album will please the fuzzers who like their riffs beefy & heavy, sometimes with a Southern Metal groove (syncopated rythms, double bass drum and the cowbell duuuude!). On the vocals side you can hear the grit and anger coming from a 90’s Grunge influence, Kosmas Ristas has a powerful voice that fits totally well with the loud instrumental part of the band. The songs are catchy and well-written, always well balanced between calmer vocals parts and uber fat & fuzzy riffs that’ll break your neck! I also really enjoy Doukas Kostoglou guitar solos, energic, melodic, it just works uh! I’d also say And Now What!? benefits from an overall better sound production than their debut album. It sounds bigger, less metallic and I like it! In the end Purple Dino 2nd effort contains 7 tracks of great Heavy’n’Roll, influenced by past & modern vibes, making it as a whole an interesting mix. I guess a lot of fuzzers will be reunited under the same head bobbing movement during their gigs, or even alone at home, in front of their turntables! For the past & modern RAWKING influences. At your next barbecue with a bunch of friends and a lot of beers. I don’t care if it’s winter now, grow balls, go outside, and throw a barbecue party with tons of good meat ! You can pre-order the vinyls starting from… TODAY ! 150 black vinyls, and 150 limited edition transparent magenta, available on their Bandcamp.